Gold futures dipped ahead of the extended Easter weekend, driving prices lower for the week and trimming monthly and quarterly gains. Major U.S. and European markets are closed today, March 30, in observance of Good Friday. Gold for June delivery on Thursday lost $2.70, or 0.2%, to settle at $1,327.30 an ounce on the Comex division of the New York Mercantile Exchange. The settlement is the weakest since Wednesday, March 21. "There was an easing of tensions in the Far East regarding North Korea, but there’s still tension between the West and Russia … this can boil over again and support gold," Reuters quoted Carsten Fritsch, commodity analyst at Commerzbank in Frankfurt. Gold futures traded 1.7% lower this week but logged respective March and first quarter gains of 0.7% and 1.4%. The quarterly increase marks a third straight. "Seventeen market professionals took part in the weekly survey. 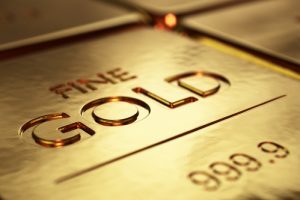 Six respondents, or 35%, called for gold prices to rise over the next week. Another seven voters, or 41%, looked for gold to fall, while four, or 24%, see a sideways market." Meanwhile, silver for May delivery rose 1.5 cents, or 0.1%, to end at $16.268 an ounce. Silver futures dropped 1.9% this week, pushing prices down for the month by 0.9%. For the quarter and year to date, the precious metal tumbled 5.1%. The quarterly decline was the first in three quarters. April platinum fell $8.20, or 0.9%, to $932.60 an ounce, for a 1.7% weekly decline. Palladium for June delivery dropped $19.40, or 2%, to $943.80 an ounce, marking a 2.9% loss for the week. The two metals also registered monthly and quarterly losses. Platinum declined 5.6% in March and 0.6% for the quarter while palladium posted losses of 9% in March and 11% in the first quarter. Gold declined $8.60, or 0.7%, to $1,323.85 an ounce. Silver lost 17.5 cents, or 1.1%, to $16.28 an ounce. Platinum declined $3, or 0.3%, to $936 an ounce. Palladium fell $7, or 0.7%, to $970 an ounce. In their weekly results, losses totaled 1.7% for gold, 1.5% for silver, 1.9% for platinum, and 1.6% for palladium. In London metal prices for March, gold edged up 0.5% while the others fell — 1% for silver, 4.4% for platinum, and 6.8% for palladium. As for the quarter, gold and platinum rose by 2.1% and 1% while silver and palladium fell by 3.5% and 8.1%. United States Mint bullion coin sales sank in March and have fallen sharply from a year ago. American Gold Eagles registered their lowest sales month since December 2015; American Silver Eagle sales were the slowest since December; and American Gold Buffaloes ended flat for the first time since February 2011. American Eagle gold coins in March totaled to just 3,500 ounces, falling 36.4% from the 5,500 ounces sold in February and dropping 83.3% from March 2017 when sales hit 21,000 ounces. For the first quarter and year so far, Gold Eagle sales at 67,500 ounces are 59.3% lower than the 166,000 ounces delivered during the first three months of last year. American Eagle silver coins reached 915,000 ounces. The tally is 2.9% lower than February’s 942,500 ounces and off 43.3% from the 1,615,000 ounces moved in March of last year. 2018 Silver Eagle sales at 5,092,500 are 36% lower than the 7,957,500 coins sold through the same time in 2017. American Buffalo gold coins were muted after rising by 3,500 ounces in February and by 8,500 ounces in March 2017. (Note: The U.S. Mint originally reported February sales at 2,500 ounces but advanced the total on March 7 to 3,500 ounces.) Quarterly sales at 27,500 ounces are 50.5% lower than the 55,500 ounces sold during the same three months of a year ago. American Eagle platinum coins reached 20,000 ounces in their February release month, matching the amount sold in years 2016 and 2017. The U.S. Mint reported no additional sales in March. America the Beautiful Five Ounce Silver Bullion Coins rose in March by 10,000 coins or 50,000 ounces to bring their total to 30,000 coins or 150,000 ounces. All sales came from Michigan’s Pictured Rocks National Lakeshore silver coin, which launched in late February as the first 5 ounce release of this year. Last year’s first 5 ounce coin, depicting Effigy Mounds National Monument in Iowa, also debuted in February and achieved sales through March of 19,700 coins or 98,500 ounces. Markets closed today for high holy days of Passover & Good Friday. Happy Holidays & Happy Collecting! Hope everyone out there, *Friday was *good! Maybe Peter*Cotton*Tail, will fill your *Easter*Basket full of *platinum & *Silver eggs, *seaing the price is right, but we still have a holy*Saturday, hope* its *quiet & not*dark,*+**smile.